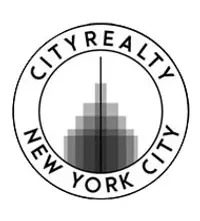 As New York City’s tallest residential building outside Manhattan, expectations for Skyline Tower might be higher than 778 feet (its elevation). 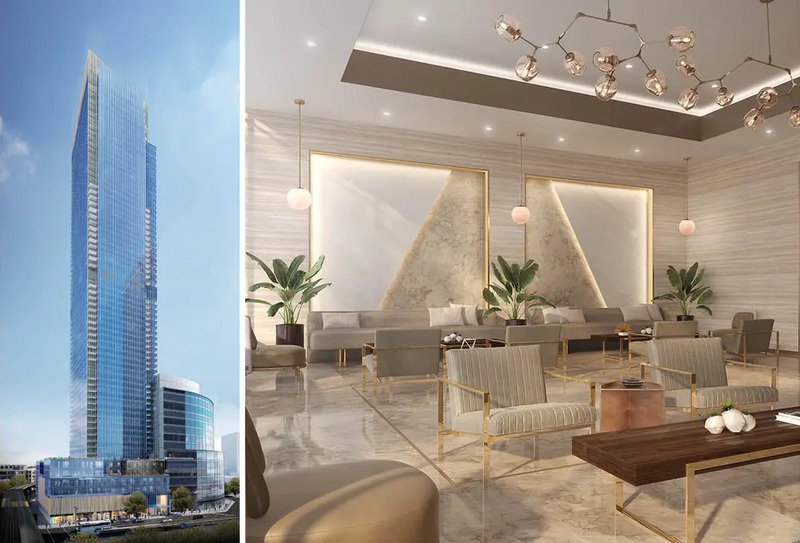 Early apartment renderings show elegant homes with interiors by Whitehall Interiors, modern kitchens, and floor-to-ceiling windows overlooking sweeping city and river views. 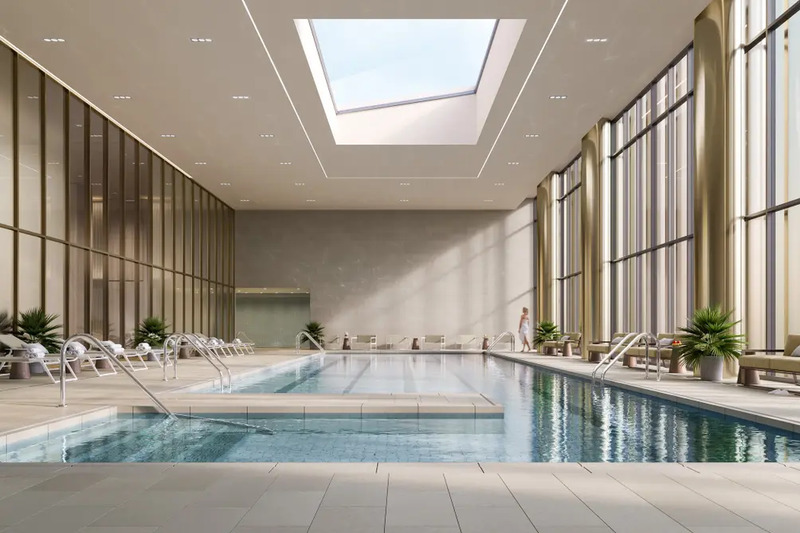 More recently, a first look at amenities shows that its offerings and services provide the same luxury and style as its apartments. All amenities were designed with residents’ comfort and convenience in mind. 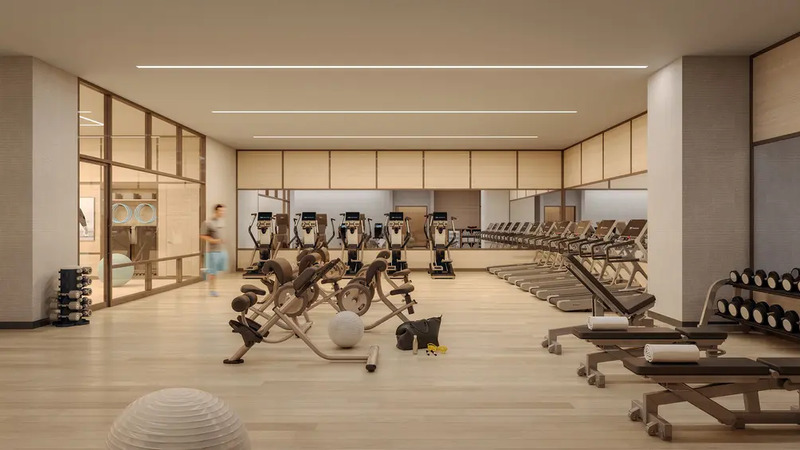 Skyline Tower’s fitness center will have cardio and strength areas, group classes, a 75-foot temperature-controlled and skylit pool, and locker rooms. When it’s time to cool down, there is a whirlpool spa, cedar plank-lined sauna, steam room, and private spa treatment rooms. 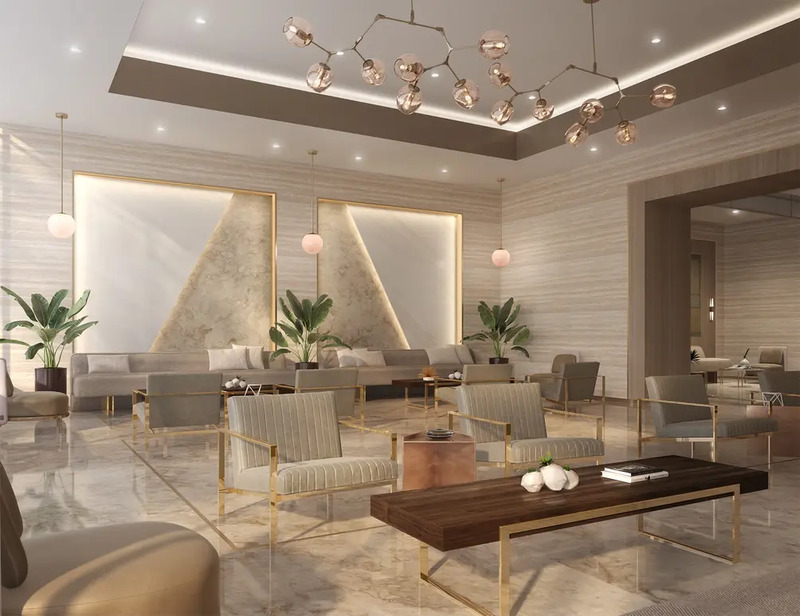 On the leisure side, amenities include a lobby lounge, a double-height amenity lounge, social room with demonstration kitchen and outdoor terrace, and a hot air balloon-themed children’s playroom. A business center, package room, cold storage, bike room, and parking (available for purchase) will make everyday life more streamlined and stress-free. Premium concierge service is on hand to provide move-in assistance and furniture installation. Once residents are settled in, concierge services include in-home chefs and catering, in-home salon services, housekeeping, personal shopping, and travel planning. 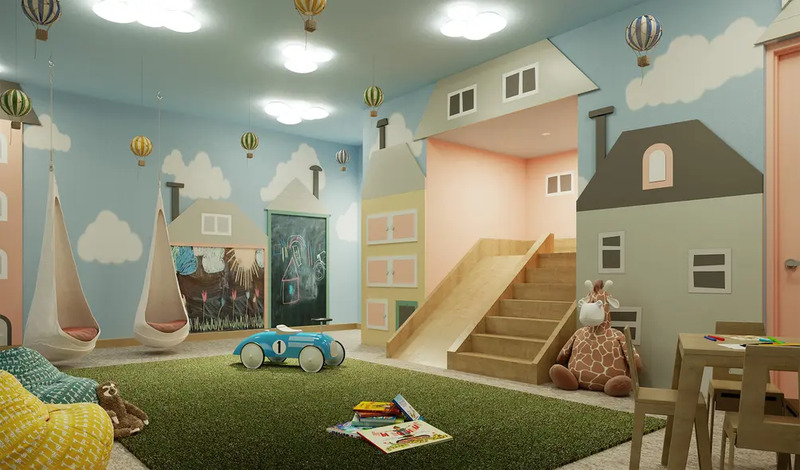 Moreover, four-legged residents have not been forgotten: Skyline Tower has a pet spa and offers services like dog walking and daycare, grooming, training, and veterinary house calls. 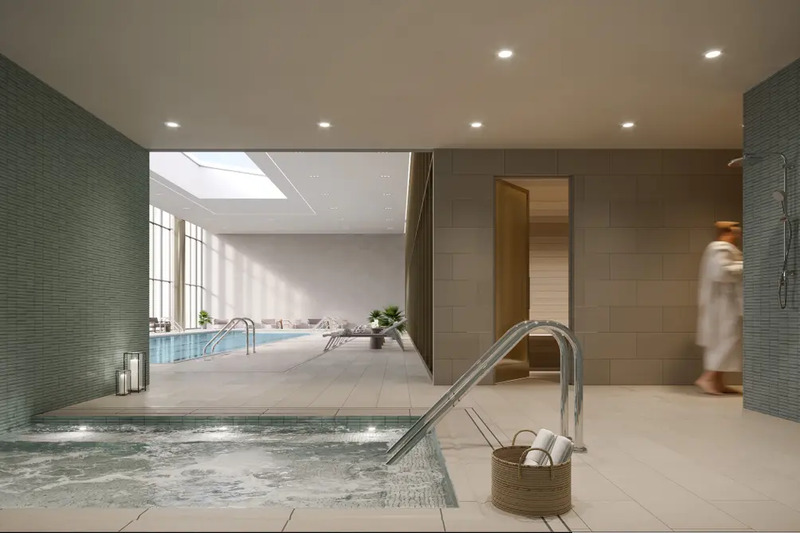 It would hardly seem one needs to leave Skyline Tower with such an array of amenities and services, but that would be a mistake: The Hill West-designed tower is on the rise in a bustling neighborhood when buildings like 5 Court Square and CORTEare poised to welcome a young professional crowd. SculptureCenter is a short walk away, and the building offers easy access to public transportation and a short trip to Manhattan. Indeed, developer United Construction and Development has committed $16 million to upgrade the subway entrance at the base of the building. The sales gallery is expected to open later this spring, and an accepted offering plan lists a whopping $1.09 billion sellout. 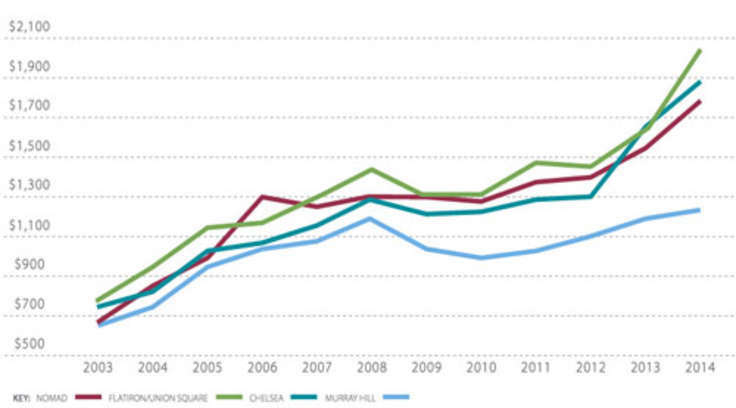 To that end, Modern Spaces will sell studios through four-bedrooms ranging from $500K to $4 million.